567 backers pledged $33,261 to help bring this project to life. The City of Seven Seraphs is a Campaign Capstone sourcebook for the Pathfinder Roleplaying Game©. Inspired by epic adventures in the Planes of the 2nd Edtion of the World's Oldest Fantasy RPG, The City of Seven Seraphs will bring a home to planar adventure for the Pathfinder gaming community and infuse existing campaigns with a new level of otherworldly reality. Rich NPCs and Organizations: 14 Planar Organizations, the Parities, which focus on the core Dualities of the Multiverse. Each Parity will have its own story themes and mechanical support such as Archetypes, Prestige Classes, feats and more. 8 Distinct City Districts: Each section of the City of Seven Seraphs will be fully expanded with its own section in the book with plots, locations and mechanical elements to create a vivid tapestry of planar possibility. Planar Mechanics: Dozens of Feats, Spells, and Archetypes to support the Parities and allow your characters to take on the powers of the planes both in the City and in the worlds Beyond. Bestiary & NPC Codex: Dozens of foes and allies statistics for easy use in your planar games. Varied CRs from 1-20+. Expanded Compatibility: Full Support for both the Pathfinder Roleplaying Game Occult Adventures system AND the Ultimate Psionics system from Dreamscarred Press. Optional support for the Pathfinder Roleplaying Game Mythic Adventures and Ultimate series expanded rules (including vehicles, social combat and intrigue). New & Revised Base Classes: The book contains 7 base classes like the Nexus, a veilweaving class which gains the ability to take on the mantles of various outsiders to allow PCs to gain the powers of the Planes, and the Shadewalker a traveler of the dark roads between. New Classes: Nexus, Shadewalker/Eclipse, Radiant, Aethernaut. Revised and Expanded Classes: Echo, Aberrant (Aegis) and Theurge. New Races and fresh takes OGL Classic Races: 7 New races like the judow, and inevitable-spawn people influenced by kyton or the a fresh-look at the ceptu (from Epidemic Books Oathbound: Seven) a races of telekinetic invertibrates! Worlds of the Lattice & Campaign Toolkit: Rules for planar adventure, intrigue and advice on how the City connects to your existing campaigns and links them to each other! We have some very exciting Stretch Goals lined up for fans of the Pathfinder RPG and the legacy of planar adventures! But we also have SHADOW GOALS. These puzzle based rewards will be added to the project through mysteries and clues provided in public updates for backers and non-backers alike to join our great game! Help Catherine and Nichole solve the puzzles to unlock the way to the City. Thilo "Endzeitgeist" Graf will be joining N. Jolly to give birth to a second new race bathed in the energies of the Radia and Shadow to be included in the base City of Seven Seraphs for all PDF & Hardcover backers. Fresh off of Adventure-a-Week's Underworld Races & Classes project, Endzeitgeist promises to bring us a fully-aspected race with the alternate traits, archetypes and other mechanics the Pathfinder community has come to crave. And Thilo is the FIRST Shadow Weaver for the project.... but is he the last? Keep an eye out for the next Shadow Lock puzzle. Thanks to Nichole, now the first shadewalker, the powers of this new class will be added to the book for PDF or HC backers an the increase page count will be added without adjusting pricing. Our iconic also features the judow race created by the Ehncredible N. Jolly! Wolfgang Baur (Planar Magic): At this level of funding Kobold Press' kobold-in-chief draws on the same wells and leylines used for creating the amazing Deep Magic sourcebook to grant the City his own brand of power. Help us achieve this exclusive array of planar magics. Jaye Sonia (Planar Feats): Help us discover the mysteries of planar attunement that will empower your character achieve the next level of planar mastery. Only the creator of Bloolines & Black Magic and Rhune: Dawn of Twilight can open the way, Stormbunny Studio's Jaye Sonia. Jason Nelson (Portals and Planar Sites): Help us fuel Jason's powers as he uses Legendary Games' ancient portal technology to help connect the Lattice to even more adventure! At this funding level Jason will provide new Portal Plaza details and secrets to link your campaign to everywhere you want it to go. Jeremy Smith (Planar Psionics): At this level we awaken our psionic potential and establish a mindlink with Dreamscarred Press' own master mentalist. Jeremy will add to the psionic lore of the City with new abilities for your Ultimate Psionics characters. Robert Lazzaretti (City Poster Map): Aid us in enlisting the ultimate planar cartographer in detailing a full-size pull out poster map of the city detailing the most important sites and features. Secret of Legacy Hall (Adventure): At this level the project team will add the adventure the Secret of Legacy Hall in which the adventures explore the farthest reaches of the City to uncover the deadly secrets of one of the Colleges Districts' most prestigious Academies. Expanded Bestiary (More Art! ): At this level we can get more artists and add over two dozen new creatures and challenges for your planes-bound player characters to face off against! We need your support to finish the design, editing and printing of the projects materials. Even a dollar earns you our eternal gratitude and records your name as a Warden of the Lattice for all time in the backers section of the book. Want to support the City of Seven Seraphs but don't play Pathfinder? You can select these prints by Vincent Coviello depicting the Jeweled Angels of the Eternal Dawning. Each set will be printed as mini-posters display some of the self-made celestials of the City. Increase your pledge by any increment of $10 dollars to receive this reward with other pledge levels. Learn all the secrets, hopes and dreams of the City as a Descendant of Dream and get the PDF copy of the City of Seven Seraphs immediately on release. Also includes any digital Stretch Goals unlocked. This level will allow you to join the Bookbinders and get your physical copy of the full-color Hardback Limited Edition of the City of Seraphs sourcebook. Will include pull out map if stretch goal is unlocked. Join the House of Heights and received the book and PDF, regardless of when you back the Kickstarter. Hardcover, PDF, and all digital stretch goals included. Pull out map included if Stretch Goal is met. In response to backer demand! As Steamwalkers, we are offering a hardcover and PDF which will also come with PDFs of Lost Spheres' entire back catalog including (Mythic Paths of the Lost Spheres, Book of Beyond and the Classes of the Lost Spheres series). Harness the power of Unity and arm your Circle of 6! Perfect for gaming groups and retailers, this pledge level gets 6 copies of the City of Seven Seraphs, 6 PDF downloads and 6 sets of Jewel Angel Mini-Posters. The Circle of 6 sections of the backers page can have the names of your Circle displayed as one in the book to memorialize your adventures together. Books delivered to a single recipient address. Complete the metamorphosis of the Chrysalis Covenant and transform you, your character or a loved one (who gives permission) into a character within the City of Seven Seraphs. The project creator will partner with you to make this new incarnation part of the City's wondrous tapestry. Creator signed Hardcover, PDF, and all digital stretch goals included. Join the Temple of Coin and pick you convention of choice from GenCon, GaryCon or PaizoCon for a private creator run session set in the the City of Seven Seraphs. Gain the benefits of all lower backer tiers other than Art Patron/Chrysalis Covenant leve.l. Creator signed Hardcover, PDF, and all digital stretch goals included. Pledge does not cover lodging, admission, travel or other incidentals. Backers! We have added new add-on levels! Just increase any existing by pledge by 25 dollars for each t-shirt you would like to add to your pledge. T-Shirts will have your choice of City of Seven Seraphs glowglass shield logo or any one of the 5 Eternal Dawning "Jewel Angels" and 1 fan favorite choice! Men's and Women's sizes, tagless t-shirts with high-quality ink graphics, Black or White shirts, sizes: S-4XL. Enough holding out... Here are the real angels, muses and... well fiends... on our development and creative team behind the City of Seven Seraphs! Clinton J. Boomer (Madman & Parity Development): "Clinton is a novelist and Ennie-award-winning game-designer who began writing professionally after placing in the Top 4 of Paizo Publishing’s inaugural RPG Superstar competition in 2008. He has worked on a number of books in the last decade, beginning with the Pathfinder Chronicles Campaign Setting." Patreon link. Liz Courts (Layout & Design): "Liz blames her brother for all of this. An avid gamer for almost thirty years, Liz has worked on over 70 different RPG products, helped organize the first unofficial PaizoCon, started and headed the Wayfinder fanzine for its first four issues, went on to work for Paizo after being a member of its community for five years, and is now a mostly organic, free range freelancer. Liz also likes art, baking, coffee, and all things ninja, but not always in that order. She is not a werewolf." Art Patreon link and Pathfinder Patreon link. N. Jolly (Racial Design and Planar Mechanics): "N. Jolly is widely regarded as a hero by most, having been involved in numerous successful kickstarter projects including the Forest Kingdom Campaign Compendium and Spheres of Might. Known for his skill with mechanics as well as flavor, he's a well seasoned writer who brings his own unique flair to this project in order to make sure it turns out ehncredible." Patreon link. Ron Lundeen (Parity & Location Design): "Ron lives in Chicago, Illinois, where the weather is exciting, though not always pleasant, and where downtown smells like chocolate. Ron spends his days practicing very down-to-earth law and his evenings exploring a dizzying variety of fantasy worlds. He and his brave wife Stephanie—without whose editorial skills Ron would be positively incoherent—are outnumbered by their five clever but mischievous children. Although his first game design credit came in 1993, Ron’s more recent work has been with Paizo Publishing, Legendary Games, and Wizards of the Coast. Ron has his own small gaming company, Run Amok Games; visit it at www.runamokgames.com." David N. Ross (Parity & District Design): "David is a freelance designer and developer. His extensive experience writing PFRPG- and D&D-compatible products with Paizo, Raging Swan Press, Petersen Games, Nord Games, Encounter Table Publishing, Legendary Games, and others (75 products and counting) has prepared him to face the city and master its secrets. Christen has dragged David into the Shadow Plane before (Classes of the Lost Spheres: Shadow Weaver)." RPGGeek Designer Profile. Todd Stewart (Parity Design, Pesh Connoisseur & Planar Guru): "Todd Stewart has been writing for Pathfinder and D&D since 2007, especially planar content, such as ‘The Great Beyond’ and ‘Book of the Damned 3: Horsemen of the Apocalypse’. Prior to that they wrote a truly ludicrous amount of Planescape fan-fiction, which was their route into the industry in the first place. When not pretending to be an arcanaloth in a fancy dress online, they’ve worked as a cell biologist for the past decade and recently returned to school to pursue their PharmD." RPGGeek Designer Profile. 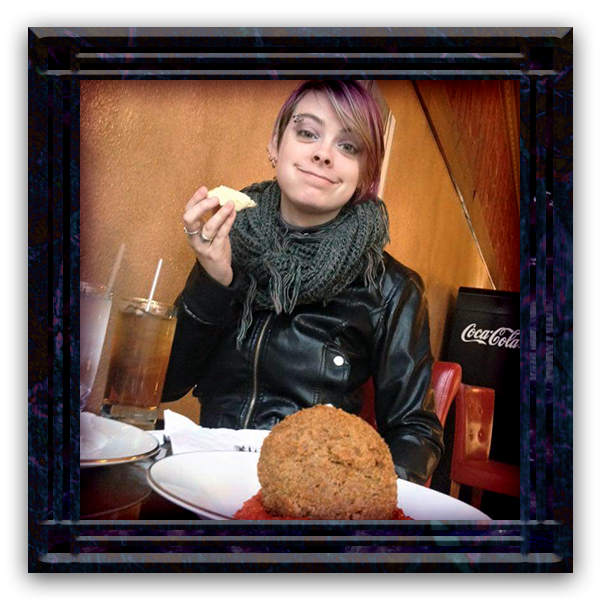 Christen N. Sowards (Project Creator, Lead Designer, Captain Ahab): "Christen learned to read from fantasy RPGs. Yes, literally. No one else was foolish enough to try to heal his older brothers in D&D and hasn't stopped in over 35 years. He has been designing Pathfinder content and driving men (and women) mad with his art orders for five years. He has GM'd games in dozens of systems (and editions) and has found his passion in Pathfinder. Home games he runs have been planar for over two decades and his is sick of not having a planar metropolis worthy of the Pathfinder system." Despite this being Lost Spheres Publishing's first Kickstarter for an RPG manual our team includes people who have successfully funded dozens of Kickstarters, and learned from a couple failed ones and they have shared their experiences to make sure we can achieve what we need to deliver on the project. The realities of international shipping may also cause some delays in final deliveries of print products. Offer your support to the City and help maintain the Law of Parity. Your name will be listed in the "Thank You/Backers" page of the book. 5 prints of the Jeweled Angels of the Eternal Dawning by Artist Vincent Coviello. (Prints are mini-posters on 100lb glossy paper.) Your name will be listed in the "Thank You/Backers" page of the book. A keeper of things bright and ephemeral, you will receive a PDF of the City of Seven Seraphs book and any other digital Stretch Goals achieved. Your name will be listed in the "Thank You/Backers" page of the book. Those with Foresight and the ability to impact the future. Your early action will grant you a free copy of the PDF in addition to the full color Hardback of the City of Seven Seraphs book. Your name will be listed in the "Thank You/Backers" page of the book. Only the book matters. It must be yours. You will receive a glorious full-color Hardcover print of the City of Seven Seraphs book. Your name will be listed in the "Thank You/Backers" page of the book. You will achieve the vantage of the Immortals. Your glory will extend to the seen and unseen. You will get a copy of the PDF and all Digital Stretch Goals in addition to the full color Hardback of the City of Seven Seraphs book. Your name will be listed in the "Thank You/Backers" page of the book. In response to backer demand! We are offering a hardcover and PDF which will also come with PDFs of Lost Spheres' entire back catalog including (Mythic Paths of the Lost Spheres, Book of Beyond and the Classes of the Lost Spheres series). 6 copies of the Book in Hardcover and Digital. Perfect for retailers and gaming groups. 6 print sets included and your group's names recorded together in the book to memorialize your adventures together. Transform yourself into a new form in a new world! Your support gains you an artist's portrayal of you, your PC, or a loved-one (who gives you permission) in the City of Seven Seraphs book. You also receive the PDF and Hardcover of the book. Your name will be listed in the "Thank You/Backers" page of the book. Artist's Portrayal Image in the Book. You get the 3 signed copies of the hardcover book, 3 copies of the PDF, and Lost Spheres Publishing will host a special gaming session with creator of the book at your choice of PaizoCon, GenCon (Indy) or GaryCon.Your name will be listed in the "Thank You/Backers" page of the book. Reward does not cover cost of admission, travel, or other incidentals.